The future of Detroit is in all of our hands. We are a city of purposeful and persistent people. The bankruptcy was the most important moment in our journey to recovery. 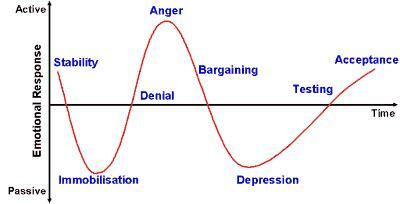 In clinical medicine, uncertainty is often times worse than the diagnosis itself. I have heard my patients say that they cry and dry heave prior to an appointment in which they are awaiting confirmation of a diagnosis. Once they hear the words, the dry heaving stops and they begin the process to concentrate on what to do from that point forward in their lives. Kubler-Ross identified the stages of grief for dying patients and others, and we collectively, as all who call ourselves Detroiters, follow a similar path of grief for the city that has been lost. Or isn’t what it could be or once was. It’s time to call in a refill on that prescription I wrote last Thanksgiving. No, not the one where I encourage extra helpings of turkey and pumpkin pie (though, it’s okay to indulge just for one day). This prescription is about giving thanks, something that research has shown to have a positive impact on your emotional and physical health. As you’ll see in this video, many members of our outstanding health care team have already filled the prescription and shared their reasons for being thankful. To our team who gives so much each and every day to care for others at Henry Ford, please consider sharing in the comments section below what you’re thankful for this Thanksgiving. And let’s not forget the “giving” part of Thanksgiving! I know that many of you will use your time off work this holiday weekend to give back to the community. I’d love to read about your plans in the comments section. I’d also like to give a heartfelt “thanks” to everyone on our health care team who will be working over the holiday weekend. We are so grateful to have you on our team and for all that you give of yourselves to return our patients to good health. Tuesday, Nov. 6 is an important day for all. 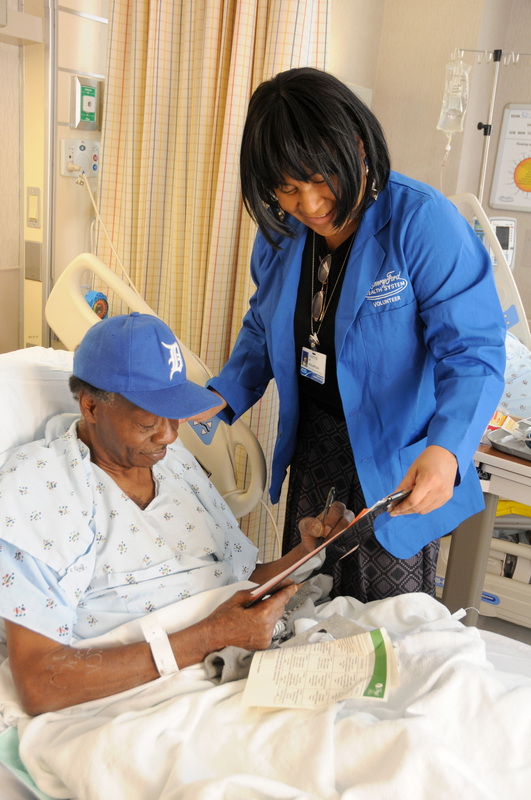 Patient Bernie Mack with hospital volunteer Lizette W. on Monday during the Bedside Voting Project. It is a day that can change the course of our nation, merely by what you choose to do on that day. Many in our country may be disillusioned by politics. Many may feel that an individual vote may not matter in a sea of other voters in a national election. I will not bore you with the details of the times in which one person, one action or one vote changed the course of an election or the course of history. Others have fought, been imprisoned and died for the right to vote. Each of our votes are a critical acknowledgment of the importance of those sacrifices. I do not care for whom you vote. I trust in the collective wisdom of our people to choose wisely and in the best interest of our City, State and Nation. My message is simple: Take time to vote on Tuesday. The voting process is so vital that Henry Ford Hospital has taken major efforts to ensure our patients who are hospitalized on election day can still get out their vote. Our volunteers on Monday assisted countless patients with emergency ballot applications, faxing it to the patient’s respective clerk’s office where a ballot is generated, and then driving to the clerk’s office to pick up the ballot and returning the sealed ballot after the patient completes it. It’s quite an amazing process. I want to thank all of our volunteers and staff involved with the bedside voting project for their work to make every vote count this election. After an extended deliberate process by leadership of Beaumont Health System and our own, Henry Ford Health System, leadership of both organizations announced a plan Wednesday to begin exclusive negotiations to create a new organization merging our operations into a new organization, to serve as a new model of health care delivery. 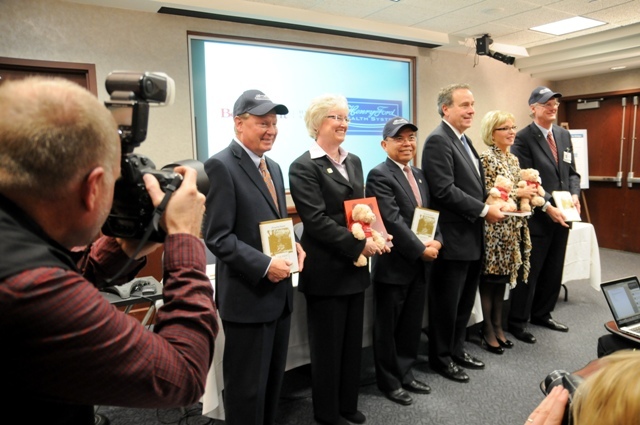 From left: Beaumont CEO Gene Michalski; HFHS CEO Nancy Schlichting; Beaumont CMO Dr. Ananias Diokno; Me; HFHS Board of Trustees Chair Sandy Pierce; and Beaumont Board of Trustees Chair Steve Howard at Wednesday’s press conference. The Boards for Henry Ford and Beaumont approved a letter of intent to develop this new organization, and to enter a period of negotiations and due diligence to determine how best to bring the systems together. The goal is to create a definitive agreement for approval in the first half of 2013. 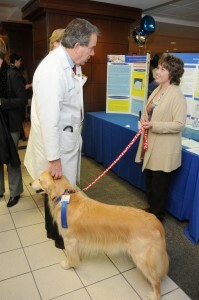 Medicine and health care create strong relationships. Through those relationships, Henry Ford has had a long history of collaborating with Beaumont on patient care, education and research. Many Beaumont physicians and my colleagues, including me, cared for patients together, patients who received their health care in both systems, systems with histories of clinical strength and deeply shared values. Combining these two national leaders in clinical excellence and patient safety will transform our focus from not only healing the sick but to keeping people and our communities healthy. The prospect of what we can do together for patients is exciting, especially opportunities to improve population health through quality, safety, integration and premier clinical programs. Greater access to care with broad selection of clinical sites close to home wherever you live in Southeastern Michigan. With the installation to the EPIC electronic medical record throughout Henry Ford, both Beaumont and Henry Ford will have a common integrated medical record across all clinical sites. With a common electronic medical record, patients will always be treated by a clinician who knows their history, no matter which site they visit, because their patient records will be at the clinician’s fingertips. This common electronic record enhances patient safety, reduces duplication of test and services, and increase patient satisfaction. 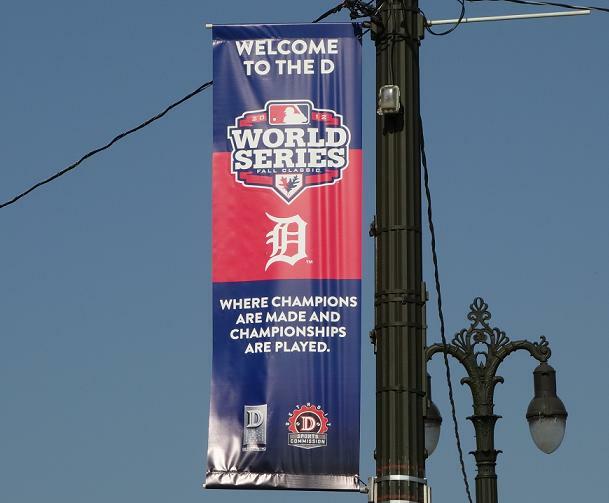 This photo was taken today in front of Comerica Park by one of Doc in the D‘s loyal readers.